Picture this: You have a vision of your ideal family camper van and you need someone to build it. You’ve been working hard up to this point, putting a lot of thought into the design, you’ve created a 6 page document detailing every requirement, every material, every specification. You have reached the point that you need to hand the design over to a build team, someone you can trust to do the job right and create your vision. One client did just this and approached the Handsfree Group with his design. On discussing his design with the Leisure team, he felt confident they could make his vision become a reality. 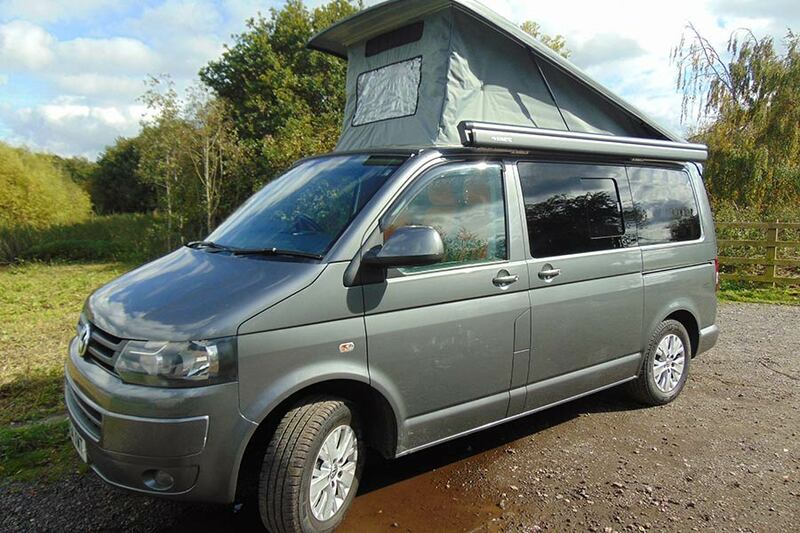 The design of the camper was fairly straightforward as it went along the traditional tried and tested VW T5 conversion format. Once the Leisure team knew what the client wanted to include and his preferred colour schemes, all that was required was sourcing the products and equipment and ensuring the build adhered to the clients design. With their vast experience in camper van conversions, the Leisure team knew they would have to work extra closely with the client so that any required amendments or adjustments to the design would be agreed and implemented with minimal disruption to the build time. The build commenced and the first task was to source the clients preferred choice of powder blue kitchen cupboards and units. The Leisure team commissioned a Bristol based company, who specialise in T5 interiors, to manufacture and assemble the units and the designs were adapted to meet the client’s requirements so are completely bespoke. 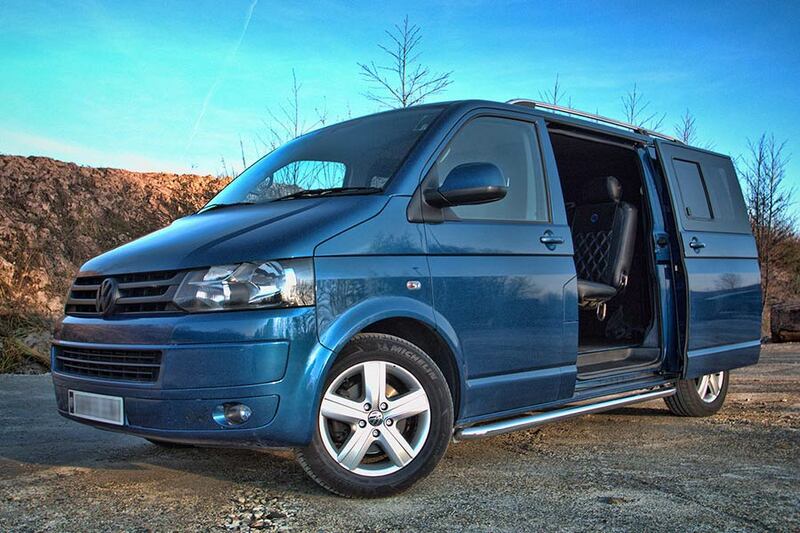 The units were manufactured and assembled in one day and delivered to the Install Hub complete where they were expertly fitted into the vehicle by engineers and craftsmen, all being FITAS Accredited and experienced in working on VW T5 camper vans. The Install hub engineers always like to impart their own stamp on any vehicle they build to give each one its own unique feel. For this build they had a brilliant idea and, after agreement with the client, the engineers fabricated embossed VW logos under the linings on the walls, ceilings and boot lid, a feature that won much admiration from other T5 owners when the van was first used on holiday in Cornwall. The van was fitted with a solar panel and long range water tank so it can be used off grid. The van was converted to a 4 berth to allow 2 adults to sleep on the main bed and 2 children in the pop up roof bed. 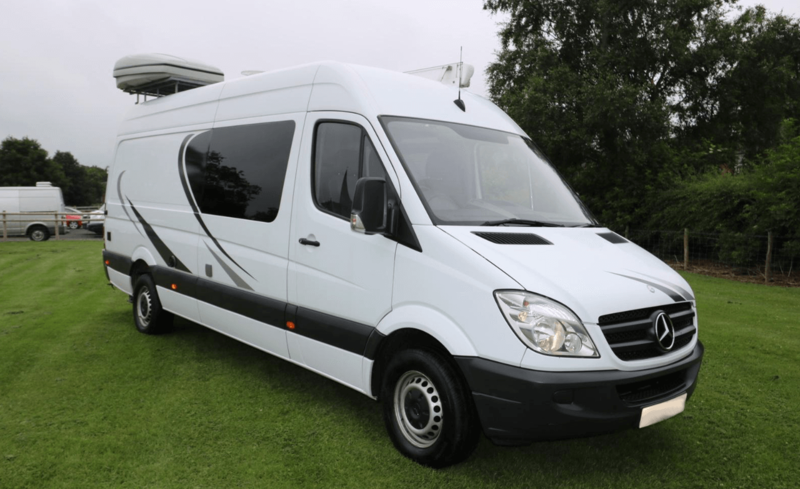 The van was also fitted with a large awning to increase the family living area available outside and with a tow bar to allow the attachment of a 4 bike rack for all the family bikes. The custom interior of powder blue fittings together with a genuine VW camper classic green and orange tartan check trimmed seating makes this vehicle an eye catching and unique camper van. 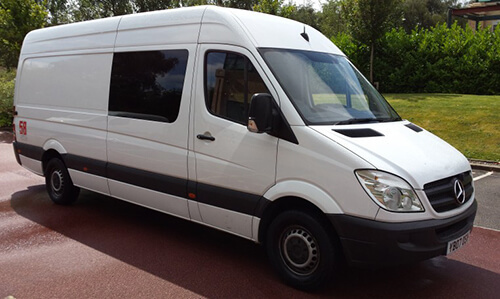 Handsfree Group were delighted to work with the client which made it all the easier for him to create his own campervan whilst taking advantage of the Leisure team’s creativity and experience to help him achieve his vision. We have now had two weekends away in the van and are planning to go away this weekend too – in short – we love it! 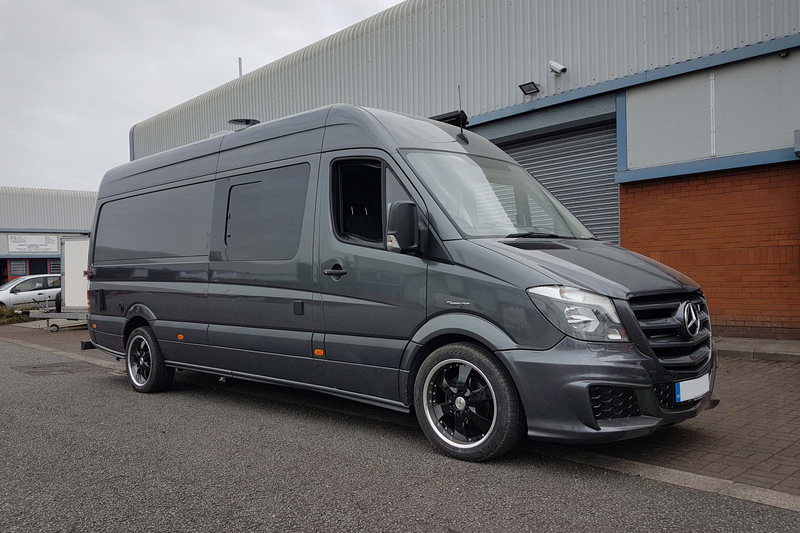 We have had nothing but positive comments about the conversion and in fact I have given your details to two people who are looking into buying a van and converting. Overall a lovely job and a wonderful van, we are thrilled to bits with it.